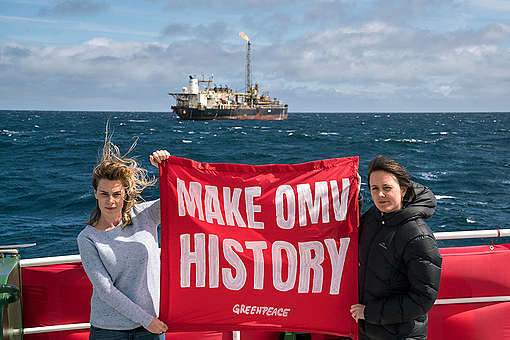 In April 2010, the Deepwater Horizon disaster in the Gulf of Mexico highlighted the wide-scale impacts that can be caused by a catastrophic deep sea well failure. 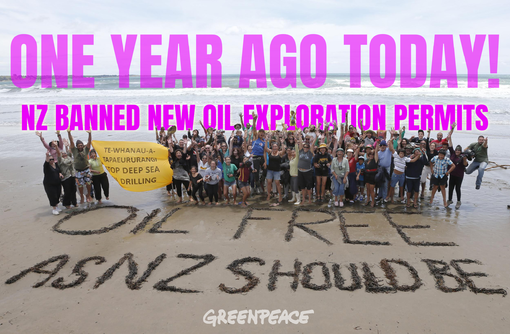 Greenpeace New Zealand has raised concerns about exploratory drilling operations for deep sea oil that are planned for the summer of 2013/2014 offshore off the west coast of the North Island in the Taranaki Basin, and the east coast of the South Island in the Canterbury Basin. 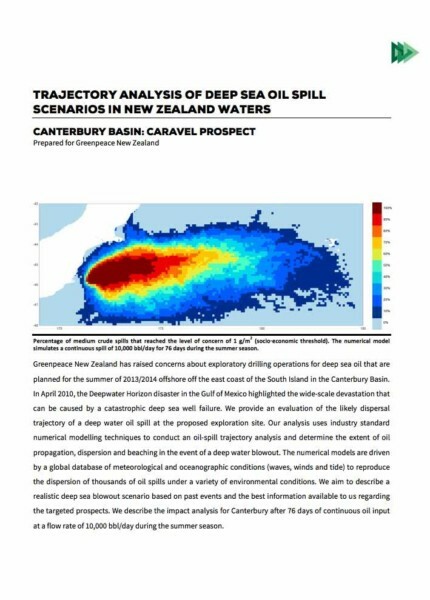 This report provides an evaluation of the likely dispersal trajectory of a deep water oil spill at the two proposed exploration sites. 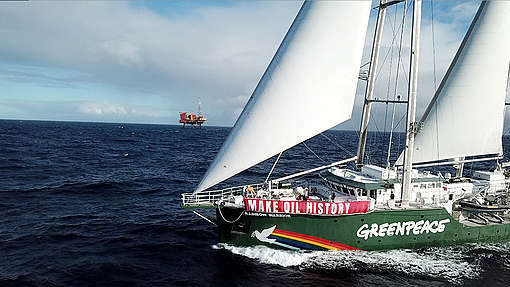 Analysis uses industry standard numerical modelling techniques to conduct an oil-spill trajectory analysis and determine the extent of oil propagation, dispersion and beaching in the event of a deep water blowout.